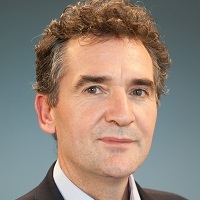 Nicolas Bacon is Professor in Human Resource Management at Cass Business School. His research explores the impact of human resource management practices on organisational performance and employee outcomes in a wide variety of settings including manufacturing firms, unionised workplaces, small firms, medium-sized enterprises, private equity-owned firms and the public sector. Professor Bacon has published 50 academic articles in learned journals as well as numerous book chapters and edited the Industrial Relations Journal 2004-2008. My current research covers human resource management and performance in small and medium-sized firms,partnership in the National Health Service,the impact of private equity on human resource management, and new types of trade union representatives. Hoque, K., Wass, V., Bacon, N. and Jones, M. (2018). Are high-performance work practices (HPWPs) enabling or disabling? Exploring the relationship between selected HPWPs and work-related disability disadvantage. Human Resource Management, 57(2), pp. 499–513. doi:10.1002/hrm.21881 . Wright, M., Amess, K., Bacon, N. and Siegel, D. (2018). The Routledge Companion to Management Buyouts. Routledge. ISBN 978-1-351-86252-3. Bacon, N., Snell, S., Redman, T. and Wilkinson, A. (Eds. ), (2009). The Sage Handbook of Human Resource Management. London: Sage Publications Limited. ISBN 978-1-4129-2829-8. Blyton, P., Heery, E., Bacon, N. and Fiorito, J. (2008). The SAGE Handbook of Industrial Relations. SAGE. ISBN 978-1-4462-6630-4. Bacon, N. and Hoque, K. (2018). HRM practices. The Routledge Companion to Management Buyouts (pp. 456–471). ISBN 978-1-138-71384-0. Bacon, N. and Hoque, K. (2018). HRM practices. In Wright, M., Amess, K., Bacon, N. and Siegel, D. (Eds. ), The Routledge Companion to Management Buyouts Routledge. ISBN 978-0-415-78702-4. Bacon, N. (2015). Social partnership in devolved nations: Scotland and Wales. In Johnstone, S. and Ackers, P. (Eds. ), Finding a Voice at Work? New Perspectives on Employment Relations (pp. 177–192). OUP Oxford. ISBN 978-0-19-164484-9. Bacon, N. and Storey, J. (2011). The Individualisation of the Employment Relationship and the Implications for Trade Unions. In Baird, R., Cooper, B., Ellem, B. and Lansbury, R. (Eds. ), Industrial Relations London: Sage. ISBN 978-1-84920-795-9. Bacon, N. and Storey, J. (2011). Individualization of the Employment Relationship and the Implications for Trade Unions. In Baird, M., Cooper, R., Ellem, B. and Lansbury, R. (Eds. ), Industrial Relations (SAGE Library in Business and Management) SAGE Publications Limited. ISBN 978-1-84920-795-9. Wilkinson, A., Redman, T., Snell, S. and Bacon, N. (2010). Field of human resource management. The SAGE Handbook of Human Resource Management (pp. 3–11). ISBN 978-1-4129-2829-8. Bruining, H., Boselie, P., Wright, M. and Bacon, N. (2008). The Impact of Business Ownership Change on Employee Relations: Buy-outs in the UK and the Netherlands. In Wright, M. and Bruining, H. (Eds. ), Private Equity and Management Buy-outs (pp. 345–365). Edward Elgar. ISBN 978-1-84720-725-8. Heery, E., Bacon, N., Blyton, P. and Fiorito, J. (2008). Introduction: The field of industrial relations. In Blyton, P., Bacon, N., Fiorito, J. and Heery, E. (Eds. ), Handbook of Industrial Relations London: Sage. ISBN 978-1-4129-1154-2. Bacon, N. (2008). Management strategy and industrial relations. In Blyton, P., Bacon, N., Fiorito, J. and Heery, E. (Eds. ), Handbook of Industrial Relations London: Sage. ISBN 978-1-4129-1154-2. Bacon, N. (2006). Industrial Relations. In Redman, T. and Wilkinson, A. (Eds. ), Human Resource Management (pp. 188–202). Harlow: Addison Wesley. Bacon, N. (2003). Human Resource Management And Industrial Relations. In Ackers, P. and Wilkinson, A. (Eds. ), Reworking Industrial Relations: New Perspectives on Employment and Society Oxford: Oxford University Press. Bacon, N. and Blyton, P. (2001). The impact of globalisation on trade unions and their members. In Debrah, Y. and Smith, I. (Eds. ), Globalization, Employment and the Workplace London: Routledge. Bacon, N. and Blyton, P. (1999). Teamworking and Industrial Relations. Teamworking: Issues, Concepts and Problems (pp. 244–261). London: Macmillan. Bacon, N., Ackers, P., Storey, J., Coates, D. and Storey, J. (1998). It's a small world : managing human resources in small businesses. In Mabey, C. and Salaman, G. (Eds. ), Strategic Human Resource Management: A Reader London: Sage Publications in association with the Open University Business Schoo. Bacon, N. and Storey, J. (1996). ChocCo: Plant Managers Developing HR Strategies in an Uncertain Organizational Climate. Blackwell Cases in Human Resource and Change Management Oxford: Blackwell. Bacon, N. and Storey, J. (1996). Individualism and Collectivism and the Changing Role of Trade Unions. In Smith, C., Ackers, P. and Smith, P. (Eds. ), The New Workplace and Trade Unionism (Critical Perspectives of Work & Organization) London ISBN 978-0-415-11676-3. Bacon, N. and Storey, J. (1996). Metropol: developing management and equal opportunities in local government. In Storey, J. (Ed. ), Blackwell Cases in Human Resource and Change Management Oxford: Blackwell. ISBN 978-0-631-19752-2. Bacon, N. and Storey, J. (1996). Royal Mail: A new industrial relations framework. In Storey, J. (Ed. ), Blackwell Cases in Human Resource and Change Management Oxford ISBN 978-0-631-19752-2. Bacon, N. and Storey, J. (1996). Unilever: Flexible Working: introducing annualised hours and flexible working. Blackwell Cases in Human Resource and Change Management Oxford: Blackwell. ISBN 978-0-631-19752-2. Bacon, N., Blyton, P. and Morris, J. (1994). Steel, State and Industrial Relations: Restructuring Work and Employment Relations in the Steel Industry. In Clarke, T. (Ed. ), International Privatisation: Strategies and Practices Berlin: Walter de Gruyter. ISBN 978-3-11-085719-1. Dastmalchian, A., Bacon, N., McNeil, N., Steinke, C., Blyton, P., Kumar, M.S. … Bayraktar, S. (2018). High-performance work systems and organizational performance across societal cultures. Bacon, N., Earles, J., Hoque,, K. and Conway, N. (2012). Union representation, voice and job quality: an analysis of a survey of union members in the UK finance sector. IREC - ESA/RN 17 Joint Conference 2012 5-7 September, CIES-ISCTE/IUL, Lisbon, Portugal. Bacon, N. (2012). Partnership and Conflict Resolution. ESRC Seminar Series on Conflict Resolution Lancaster, UK. Bacon, N. and Hoque, K. (2012). The adoption of high-performance work practices in small businesses: the influence of market characteristics, firm structure and HR expertise. British Academy of Management - HRM Special Interest Group (SIG) Cranfield, UK. Bacon, N., Hoque, K. and Wright, M. (2018). Is Job Insecurity Higher in Leveraged Buyouts? British Journal of Industrial Relations. doi:10.1111/bjir.12447 . Wright, M., Wilson, N., Gilligan, J., Bacon, N. and Amess, K. (2016). Brexit, Private Equity and Management. British Journal of Management, 27(4), pp. 682–686. doi:10.1111/1467-8551.12191 . Bacon, N. and Samuel, P. (2016). Social Partnership and Political Devolution in the National Health Service: Emergence, Operation and Outcomes. Work, Employment and Society. doi:10.1177/0950017015616910 . Wu, N., Hoque, K., Bacon, N. and Bou Llusar, J.C. (2015). High-performance work systems and workplace performance in small, medium-sized and large firms. Human Resource Management Journal, 25(4), pp. 408–423. doi:10.1111/1748-8583.12084 . Bacon, N. and Hoque, K. (2015). The influence of trade union Disability Champions on employer disability policy and practice. HUMAN RESOURCE MANAGEMENT JOURNAL, 25(2), pp. 233–249. doi:10.1111/1748-8583.12060 . Dastmalchian, A., Mcneil, N., Blyton, P., Bacon, N., Blunsdon, B., Kabasakal, H. … Steinke, C. (2015). Organisational climate and human resources: Exploring a new construct in a cross-national context. Asia Pacific Journal of Human Resources, 53(4), pp. 397–414. doi:10.1111/1744-7941.12081 . Bacon, N., Hoque, K., Earls, J. and Conway, N. (2014). Union representation, collective voice and job quality: an analysis of a survey of union members in the UK finance sector. Economic and Industrial Democracy: an international journal. doi:10.1177/0143831X14555707 . Hoque, K., Bacon, N. and Parr, D. (2014). Employer disability practice in Britain: assessing the impact of the Positive About Disabled People ‘Two Ticks’ symbol. Work, Employment and Society, 28(3), pp. 430–451. doi:10.1177/0950017012472757 . Wu, N., Bacon, N. and Hoque, K. (2014). The adoption of high performance work practices in small businesses: the influence of markets, business characteristics and HR expertise. The International Journal of Human Resource Management, 25(8), pp. 1149–1169. doi:10.1080/09585192.2013.816865 . Hoque, K. and Bacon, N. (2014). Unions, joint regulation and workplace equality policy and practice in Britain: evidence from the 2004 Workplace Employment Relations Survey. Work, Employment and Society, 28(2), pp. 265–284. doi:10.1177/0950017012460320 . Bacon, N., Wright, M., Ball, R. and Meuleman, M. (2013). Private Equity, HRM, and Employment. Academy of Management Perspectives, 27(1), pp. 7–21. doi:10.5465/amp.2012.0130 . Bacon, N., Wright, M., Meuleman, M. and Scholes, L. (2012). The Impact of Private Equity on Management Practices in European Buy-outs: Short-termism, Anglo-Saxon, or Host Country Effects? INDUSTRIAL RELATIONS, 51, pp. 605–626. doi:10.1111/j.1468-232X.2012.00692.x . Bacon, N. and Hoque, K. (2012). The role and impact of trade union equality representatives in Britain. British Journal of Industrial Relations, 50(2), pp. 239–239. doi:10.1111/j.1467-8543.2011.00865.x . Hoque, K. and Bacon, N. (2011). Assessing the impact of Union Learning Representatives on training: evidence from a matched sample of ULRs and managers. Work, Employment and Society, 25(2), pp. 218–233. doi:10.1177/0950017011398889 . Bacon, N. and Hoque, K. (2011). Union representation and training: the impact of Union Learning Representatives and the factors influencing their effectiveness. Human Relations, 64(3), pp. 387–413. doi:10.1177/0018726710378055 . Samuel, P. and Bacon, N. (2010). The contents of partnership agreements in Britain 1990-2007. Work, Employment & Society, 24(3), pp. 430–448. doi:10.1177/0950017010371646 . Bacon, N. and Hoque, K. (2010). Exploring the relationship between union learning representatives and employer-provided training in Britain. International Journal of Human Resource Management, 21(5), pp. 720–741. doi:10.1080/09585191003658870 . Samuel, P. and Bacon, N. (2010). The contents of partnership agreements in Britain, 1990-2007: modest aims of limited ambition? Work, Employment and Society, 24(3), pp. 430–448. doi:10.1177/0950017010371646 . Bacon, N., Blyton, P. and Dastmalchian, A. (2010). The impact of organisational change on steelworkers in craft and production occupational groups. Human Relations, 63(8), pp. 1223–1248. doi:10.1177/0018726709356599 . Bacon, N., Wright, M., Scholes, L. and Meuleman, M. (2010). Assessing the Impact of Private Equity on Industrial Relations in Europe. Human Relations, 63(9), pp. 1343–1370. doi:10.1177/0018726709350087 . Bacon, N. and Hoque, K. (2010). What factors influence the relationship between Union Learning Representatives and training in Britain: Evidence from the 2004 Workplace Employment Relations Survey. International Journal of Human Resource Management, 21, pp. 721–42. Bacon, N. and Samuel, P. (2009). Partnership agreement adoption and survival in the British private and public sectors. Work, Employment and Society, 23(2), pp. 231–48. doi:10.1177/0950017009102856 . Wright, M., Bacon, N. and Amess, K. (2009). The impact of private equity and buyouts on employment, remuneration and other HRM practices. Journal of Industrial Relations, 51(4), pp. 503–17. doi:10.1177/0022185609339515 . Bacon, N., Wright, M., Demina, N., Bruining, H. and Boselie, P. (2008). HRM, Buy-outs and Private Equity in the UK and the Netherlands. Human Relations, 61(10), pp. 1399–1433. doi:10.1177/0018726708095709 . Hoque, K. and Bacon, N. (2008). Investors in People and training in the British SME sector. Human Relations, 61(4), pp. 451–482. Hoque, K. and Bacon, N. (2008). Trade unions, union learning representatives and employer-provided training in Britain. British Journal of Industrial Relations, 46(4), pp. 702–731. doi:10.1111/j.1467-8543.2008.00681.x . Bacon, N. (2007). The Oxford Handbook of Human Resource Management - Edited by Peter Boxall, John Purcell and Patrick Wright. British Journal of Industrial Relations, 45(4), pp. 858–859. doi:10.1111/j.1467-8543.2007.00651.x/abstract . Bacon, N. and Blyton, P. (2007). Conflict for mutual gains? Journal of Management Studies, 44, pp. 814–34. Bacon, N. and Blyton, P. (2006). Union Co-operation in a Context of Job Insecurity: Negotiated Outcomes from Teamworking. British Journal of Industrial Relations, 44(2), pp. 215–237. doi:10.1111/j.1467-8543.2006.00495.x . Hoque, K. and Bacon, N. (2006). The antecedents of training activity in British small and medium-sized enterprises. Work, Employment and Society, 20(3), pp. 531–552. doi:10.1177/0950017006067000 . Bacon, N. and Blyton, P. (2006). The effects of co-operating or conflicting over work restructuring: evidence from employees. Sociological Review, 56(1), pp. 1–19. doi:10.1111/j.1467-954X.2006.00599.x . Bacon, N., Blyton, P. and Dastmalchian, A. (2005). The significance of working time arrangements accompanying the introduction of teamworking: Evidence from employees. British Journal of Industrial Relations, 43(4), pp. 681–701. doi:10.1111/j.1467-8543.2005.00479.x . Coupland, C., Blyton, P. and Bacon, N. (2005). A longitudinal study of the influence of shop floor work teams on expressions of ‘us’ and ‘them’. Human Relations, 58(8), pp. 1055–1081. doi:10.1177/0018726705058503 . Bacon, N. and Jones, E. (2005). Editorial: Lessons (that should have been) learned. Industrial Relations Journal, 36(6), pp. 432–435. doi:10.1111/j.1468-2338.2005.00375.x . Bruining, H., Boselie, P., Wright, M. and Bacon, N. (2005). The impact of business ownership change on employee relations: buy-outs in the UK and The Netherlands. International Journal of Human Resource Management, 16(3), pp. 345–465. doi:10.1080/0958519042000339543 . Bacon, N. and Hoque, K. (2005). HRM in the SME sector: Valuable employees and coercive networks. International Journal of Human Resource Management, 16(11), pp. 1976–1999. doi:10.1080/09585190500314706 . Bacon, N. and Blyton, P. (2005). Worker responses to teamworking: Exploring employee attributions of managerial motives. International Journal of Human Resource Management, 16(2), pp. 238–255. doi:10.1080/0958519042000311426 . Bacon, N., Wright, M. and Demina, N. (2004). Management Buyouts and Human Resource Management. British Journal of Industrial Relations, 42(2), pp. 325–347. doi:10.1111/j.1467-8543.2004.00317.x . Jones, E. and Bacon, N. (2004). Editorial: The New Europe�. Industrial Relations Journal, 35(6), pp. 480–482. doi:10.1111/j.1468-2338.2004.00328.x . Bacon, N. and Blyton, P. (2004). Trade Union Responses to Workplace Restructuring: Exploring Union Orientations and Actions. Work, Employment and Society, 18(4), pp. 749–773. doi:10.1177/0950017004047962 . Bacon, N. and Jones, E. (2003). Editorial: identity crisis. Industrial Relations Journal, 34(5), pp. 360–362. doi:10.1111/j.1468-2338.2003.00283.x . Bacon, N. and Blyton, P. (2003). Impact of Teamwork on Skills: Employee Perceptions of Who Gains and Who Loses? Human Resource Management Journal, 13(2), pp. 13–29. doi:10.1111/j.1748-8583.2003.tb00088.x . Currie, G., Bacon, N. and Hoque, K. (2003). Pay in the Public Sector: Editorial. Public Money and Management, 23(4), pp. 219–222. Bacon, N. and Blyton, P. (2002). Militant and moderate trade union orientations: What are the effects on workplace trade unionism, union-management relations and employee gains? International Journal of Human Resource Management, 13(2), pp. 302–319. doi:10.1080/09585190110102396 . Bacon, N. and Blyton, P. (2001). High involvement work systems and job insecurity in the international iron and steel industry. Canadian Journal of Administrative Sciences, 18(1), pp. 5–16. Bacon, N. and Blyton, P. (2001). Job Insecurity: A Review of Measurement, Consequences and Implications. Human Relations, 54(9), pp. 1223–1233. Bacon, N. and Blyton, P. (2001). Management Practices and Employee Attitudes: A Longitudinal Study Spanning Fifty Years. Sociological Review, 49(2), pp. 254–274. Bacon, N. and Blyton, P. (2001). 'Militant and Moderate Trade Union Orientations: What are the effects on workplace trade unionism? International Journal of Human Resource Management, 13(2), pp. 302–319. Bacon, N. (2001). Competitive Advantage Through Human Resource Management: Best Practices or Core Competencies? Human Relations, 54(3), pp. 361–372. Bacon, N. and Blyton, P. (2001). High Involvement Work Systems and Job Insecurity. Canadian Journal of Administrative Sciences, 18(1), p. 16. Bacon, N. and Blyton, P. (2000). Industrial relations and the diffusion of teamworking – Survey evidence from the UK steel industry. International Journal of Operations and Production Management, 20(8), pp. 911–931. doi:10.1108/01443570010332944 . Bacon, N. and Storey, J. (2000). New Employee Relations Strategies: Towards Individualism or Partnership? British Journal of Industrial Relations, 38(3), pp. 407–28. doi:10.1111/1467-8543.00171 . Bacon, N. and Wright, M. (2000). Demonstrating the Human Touch. European Venture Capital Journal Supplement, Dec / Jan, pp. 16–20. Bacon, N. and Blyton, P. (2000). High Road and Low Road Teamworking: Perceptions of Management Rationales and Organizational and Human Resource Outcomes. Human Relations, 53(11), pp. 1425–1458. doi:10.1177/00187267005311002 . Bacon, N. (1999). UNION DERECOGNITION AND THE NEW HUMAN RELATIONS: A STEEL INDUSTRY CASE STUDY. Work, Employment and Society, 13(1), pp. 1–17. doi:10.1017/s0950017099000021 . Bacon, N. (1999). The Realities of Human Resource Management? Human Relations, 52(9), pp. 1179–1187. doi:10.1177/001872679905200904 . Bacon, N. and Blyton, P. (1999). Co-operation and conflict in industrial relations: what are the implications for employees and trade unions? International Journal of Human Resource Management, 10(4), pp. 638–654. doi:10.1080/095851999340314 . Bacon, N. (1999). Union De-recognition and the New Human Relations: A Steel Industry Case Study. Work, Employment and Society, 31(1), pp. 1–17. Bacon, N. (1999). Union derecognition and the new human relations: A steel industry case study. Work, Employment and Society, 13(1), pp. 1–17. doi:10.1177/09500179922117764 . Blyton, P. and Bacon, N. (1997). Recasting the Occupational Culture in Steel: Some Implications of Changing from Crews to Teams in the UK Steel Industry. Sociological Review, 45(1), pp. 79–101. doi:10.1111/1467-954X.00055 . Bacon, N., Ackers, P., Storey, J. and Coates, D. (1996). It's a small world: Managing Human Resources in Small Businesses. International Journal of Human Resource Management, 7(1), pp. 82–100. doi:10.1080/09585199600000119 . Bacon, N. and Blyton, P. (1996). Recasting the Politics of Steel in Europe: The Impact on Trade Unions. West European Politics, 19(4), pp. 770–786. doi:10.1080/01402389608425164 . Bacon, N., Blyton, P. and Morris, J. (1996). Among the Ashes: Trade Union Strategies in the UK and German Steel Industries. British Journal of Industrial Relations, 34(1), pp. 25–50. doi:10.1111/j.1467-8543.1996.tb00470.x . Blyton, P. and Bacon, N. (1996). Working in Steel: steelworkers� attitudes to change 40 years on. Industrial Relations Journal, 27(2), pp. 155–165. doi:10.1111/j.1468-2338.1996.tb00765.x . Storey, J. and Bacon, N. (1993). Individualism and Collectivism: Into the 1990s. International Journal of Human Resource Management, 4(3), pp. 665–85. doi:10.1080/09585199300000042 . Bacon, N. and Storey, J. (1993). 'The Individualisation of the Employment Relationship and the Implications for Trade Unions. Employee Relations, 15(1), pp. 5–17. Bacon, N., Storey, J., Edmonds, J. and Wyatt, S. (1993). The ‘New Agenda’ and Human Resource Management: A Roundtable Discussion With John Edmonds. Human Resource Management Journal, 4(1), pp. 63–71. doi:10.1111/j.1748-8583.1993.tb00332.x . Morris, J., Bacon, N. and Werner Franz, H. (1992). 'Beyond Survival: the Implementation of New Forms of Work Organisation in the UK and German Steel Industries. International Journal of Human Resource Management, 3(2), pp. 307–329. doi:10.1080/09585199200000152 . Morris, J., Blyton, P., Bacon, N., Franz, H.W. and Lichte, R. (1991). Trade Unions/Workers and the Flexibilisation of Work: A Comparative Analysis of the UK and German Steel Industries. Management Research News, 14(10), p. 31. doi:10.1108/eb028183 . Wright, M. and Bacon, N. (2012). Private equity buyouts: longevity and employment relations..
Bruining, J., Boselie, J.P.E.F., Wright, D.M. and Bacon, N. (2004). The Impact of Business Ownership Change on Employee Relations: Buy-outs in the UK and the Netherlands. Netherlands. Hoque, K. and Bacon, N. (2015). Workplace union representation in the British public sector: evidence from the 2011 Workplace Employment Relations Survey. London, UK: Cass Business School; City, University of London. Human Relations, Member of Editorial Board, 2014 – present. International Journal of Human Resource Management, Member of Editorial Board, 2013 – present. Journal of Management Studies, Member of Editorial Board, 2006 – 2013. Industrial Relations Journal, Editor, 2003 – 2008. Work, Employment & Society, Member of Editorial Board, 2000 – 2003. ESRC Seminar Series on Conflict Resolution. (Seminar) Lancaster, UK (2012). Invited speaker. NHS Grampian Partnership Day. (Workshop) Aberdeen, Scotland (2012). Invited speaker. IREC 2012-ESA RN 17. (Conference) Lisbon, Portugal (2012). Invited speaker. Co-authors: Hoque, K., Conway, N. and Bacon, N.
British Academy of Management HRM SIG. (Conference) Cranfield, UK (2012). Invited speaker. Co-authors: Bacon, N., Hoque, K.
HR News Update - Employers breaking promises to disabled workers. (2014) The HR Director. Two-ticks scheme loses value and meaning with employers. (2014) Recruiter (magazine). Thousands of employers Ôbreaking promisesÕ to disabled workers. (2014) HR Review (magazine). Equal opportunities and family friendly practices boosted when firms involve unions. (2014) Investing & Stock Research - Businessweek (magazine). High risk but right to warn Ð verdict on Standard Life Scotland announcement. (2014) HR Magazine (magazine). Give shareholders veto on charter - Royal Mail union: Investors 'should have last say on pay and conditions' Talks on terms for 100,000 workers after privatisation. (2014) Hispanic Business. Give sharegolders veto on charter- Royal Mail union. (2014) The Guardian (newspaper). Royal Mail and CWU in talks over working conditions charter. (2014) finance2business.com (website). Royal Mail PLC : Royal Mail and CWU in talks over working conditions charter. (2014) 4- Traders (website). Royal Mail PLC : Give shareholders veto on charter - Royal Mail union: Investors 'should have last say on pay and conditions' Talks on terms for 100,000 workers after privatisation. (2014) 4- Traders (website). German Ministry Bans Bosses Contacting Staff Outside Work Hours To Stop Burnout. (2014) The Huffington Post (United Kingdom) (newspaper). Another tool in the box. (2014) WS+B (Workplace Savings and Benefits). Youth unemployment: at crisis level. (2013) Strategic Risk (magazine). Banks aim to end juniors' working-all-hours culture. (2013) The Times (newspaper). Royal Mail workers win 9% pay deal. (2013) The Guardian (newspaper). Royal Mail workers win pay increase of 9% over three years by Sean Farrell. (2013) The Guardian (newspaper). Benefits packages fail to address the need of a modern, diverse workforce. (2013) The Guardian (newspaper). britain workers under Cameron more financially distressed than under Thatcher. (2013) Press Tv .Ir (television). (2013) The Financial Adviser (newspaper). Cameron's government leaves worse than Thatchers Britain. (2013) The Express (newspaper). workers more 'at risk' of into financial difficulty as employee benefits fail to adapt. (2013) HR Magazine.co uk (website). Employee benefits must be overhauled to protect workers-report. (2013) Cover Magazine.co uk (website). don't be left high and dry, be sure to plan for the wordt. (2013) Metro (London) (newspaper). Setting the wellbeing agenda. (2013) Management Today. Round Table: Setting the wellbeing agenda. (2013) Management Today.